For over seventeen years, we have provided the Prescott, Arizona Tri-City area with top quality affordable cleaning services. We specialize in residential cleaning, office cleaning, window cleaning, carpet cleaning and deodorizing, upholstery cleaning, pet odor and spot treatment, area rug cleaning, tile and grout cleaning, floor care, automobile and rv carpet and upholstery cleaning, construction clean-up and green cleaning services for home owners, buyers & sellers, contractors, realtors, property managers and business owners. 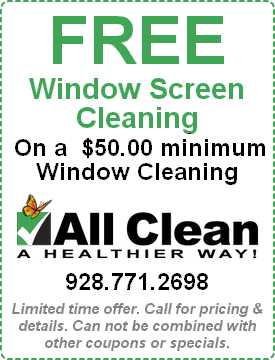 We are not your average "run of the mill" cleaning company. 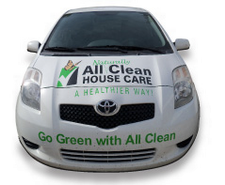 Each of our cleaners are trained professionals who believe in our mission of your complete customer satisfaction! Customized cleaning tailored specifically to fit your needs, cleaning what you want, when you want it ... daily, weekly, biweekly, monthly or one time service! Professionalism, well trained staff, courteous, caring!